No one understands how important it is to choose the right meal delivery service better than we do. That is why we are here to help you make the best possible choice. While both Snap Kitchen and Gourmet Station offer delicious dishes and rather flexible subscriptions, there is much more to be considered before you make the final call. This Snap Kitchen VS Gourmet Station comparison allows you to get to know these companies better, discover their greatest advantages and shortcomings, and of course, find out which one provides a bit higher quality of service. 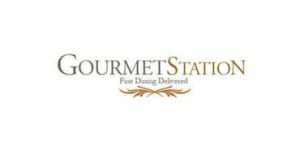 Gourmet Station is a meal delivery service dedicated to planning and preparing the most delicious gourmet meals and delivering them to your doorstep. You can either order for yourself or choose to send a dinner gift from a wide range of meal options on its menu. Surprise your family, loved ones, and business partners with a neat fine dining treat.